Throwback Thursday for July 16, 2015: In the Library with the Lead Pipe welcomes Ian Beilin to our Editorial Board! In honor of Throwback Thursday, we’re highlighting Ian’s recent piece on the ACRL Framework. In Brief: The recently adopted ACRL Framework for Information Literacy for Higher Education has generated much critique and discussion, including many important reflections on the nature of information literacy and librarianship itself. This article provides a brief consideration of some of these responses and as well a critique of the Framework from the perspective of critical information literacy. It argues that although the Framework demonstrably opens up possibilities for an information literacy instruction that encourages students to question the power structures and relations that shape information production and consumption, it nonetheless rests on a theoretical foundation at odds with that goal. It urges librarians to embrace the Framework yet also resist it, in the tradition of critical librarians who have practiced resistance to the instrumentalization of the library for neoliberal ends. By design and in its implementation, the process of drafting the ACRL Information Literacy Framework for Higher Education invited intense scrutiny and critique. The Task Force charged with creating the Framework began its work in March 2013 and released the first draft for public scrutiny in February of the following year.1 Through three drafts to the final version, which was made public in January 2015 and officially “filed” (approved by the ACRL Board of Directors) shortly thereafter, the effort toward transparency included many opportunities for input that will help the Framework earn a strong measure of democratic consent and broad participation. But a successful launch and general adoption are by no means assured, as the resistance to plans to scrap the existing Standards has been and may continue to be strong.2 Less easy for the Task Force to control or to even keep track of, however, were reactions on blogs, Twitter, other social media, and in informal conversations, and these arenas continue to produce new and sometimes unexpected reactions to the proposed Framework. It should have been expected that the lively debates among librarians have included searching, systematic, and thoroughgoing critiques of both the fundamental assumptions and the theory underlying the Framework and even its reason for existing at all.3 The draft process has provided an opportunity for many people to talk about the meaning and purpose of information literacy instruction, information literacy in general, and even librarianship itself. As Barbara Fister stated in one of her early commentaries on the Framework, “it is an opportunity for us to rethink how we do this and what kind of learning really matters.” (Fister 2014a) I consider the Framework already to be a success because the debate it has generated contributes to our thinking about and practice of librarianship in invigorating, productive, and necessary ways. Before exploring the responses from the perspectives of critical information literacy and critical librarianship, I would like to provide an overview of some of the other critiques of the Framework’s drafts. These critiques have been diverse, ranging from stunned incomprehension to almost utopian celebration. But I would caution that although it may be true that the Framework’s reliance on threshold concepts may put off some faculty members and administrators with whom we want to collaborate, we run the risk at the other extreme of offering something of only limited persuasive potential from the perspective of ideas, and this could jeopardize potential understanding and ultimately collaboration from non-library faculty members across the institution. Librarians, as members of the academic community, must be prepared to engage with the scholarship and research of our peers if we wish them to engage with ours. And the most serious evidence of such engagement is to find specifically library-related applications of theoretical approaches from such fields as education, psychology and anthropology. To embrace theory from other disciplines will inevitably require us to learn to adapt concepts and language from those fields. In other words, it will require the introduction of novel concepts and ideas, reflected in new vocabulary. But rather than be afraid of such importations, we should engage them to test their foundations as well as their usefulness. It is a main tenet of critical information literacy that information literacy instruction should resist the tendency to reinforce and reproduce hegemonic knowledge, and instead nurture students’ understandings of how information and knowledge are formed by unequal power relations based on class, race, gender, and sexuality. Threshold concept theory, both as it was originally formulated and as it is applied in the Framework, can be seen as a reification of privileged knowledge that is historically and culturally contingent.13 Threshold concepts attempt to align information literacy goals with the way that knowledge functions in our existing information system. Threshold concepts were elaborated specifically to better enable students to master the difficult specialized fields of knowledge that define the various academic and professional disciplines. But they may end up functioning as the means to merely reinforce disciplinary boundaries and institutional hierarchies. Morgan has noted how the Framework’s effort to present threshold concepts in this way has produced an elision of their origins and contexts: “threshold concepts are treated as immanent entities, unique to specific disciplines, and not as essentially contingent.” (Morgan 2012, 7) Fister also cautions, in referring to the first draft: “…we need to bear in mind how these thresholds we define are cultural constructs and avoid assuming upper-middle-class white American experiences that might seem hostile or exclusionary to those who don’t fit that assumed identity.” (Fister 2014a) If threshold concepts are cultural constructs, then a critical information literacy must move beyond them somehow. While threshold concepts may have an important place in the process of learning, information literacy must demand that the concepts themselves be questioned as part of the critique of the structure of knowledge that a critical pedagogy encourages. It is possible to see threshold concepts as an efficient way of getting students to become expert practitioners of existing disciplines. They do this, in a sense, by learning the rules. Threshold concepts can be viewed as the habits of mind that one must have in order to make sense within a given intellectual community. Wilkinson has noted that threshold concept theory has oversimplified or even misrepresented the true nature of academic disciplines, whose competing discourses reveal the opposite of what the theory claims: “The entire theory of threshold concepts has a funny way of oversimplifying the very real distinctions and difficulties that are inherent in a body of knowledge.” (Wilkinson 2014a) I would add to this point that teaching students how to function within an academic discourse can be perilously close to teaching students how to conform, how to get along, how to succeed. We want our students to succeed, but do we want the system that will enable their success to succeed as well? Some may, but many librarians committed to critical librarianship do not. For the latter group the question is, how can we encourage student success without supporting the underlying structure of the system within which that success will take place? Much of the rhetoric of information literacy, including that of the Framework, represents the world of information (the Framework refers to it as the “information ecosystem”) as something that must be mastered by individual students making their own ways through an educational institution out into the world. Information literacy instruction is intended, positively and even progressively, to empower those individuals to succeed on their own terms to the greatest extent possible. It does this by inculcating habits of thinking and working that are most often described under the heading ‘critical thinking.’ But the problem with even some progressive information literacy rhetoric is that it does not question the fundamental units with which it is working: the individual information consumer/producer on the one hand, and the system of information on the other hand. The Framework, despite its (debatable) greater theoretical sophistication, its great flexibility as a tool for enabling dynamic and creative information literacy instruction, and its emphasis on collaborative learning, still posits as its goal an individual student who has become a master or expert of our system of information. And even though it seeks to empower that individual, who could potentially work to change the conditions of information production and dissemination that exist today, the Framework necessarily concentrates its efforts on the solitary mastery of the existing system. Some critics have found the Framework too narrowly focused on library-centered activities and skills, and they have questioned whether the specific threshold concepts in the Frames are uniquely characteristic of the ‘field’ of librarianship or information literacy. Fister states that as a librarian she isn’t particularly “interested in helping students think like librarians, but rather as curious people who understand how information works so that they can be curious effectively and maybe change the world while they’re at it.” (Fister 2014b) Nicole Pagowsky has also expressed this sentiment in a blog post reacting to the first draft, referring specifically to the frame ‘Format as Process’ (renamed ‘Information Creation as a Process’ in the final draft). The frames pay insufficient attention to the factors beyond academia that shape students’ consumption and production of information: “I was hoping to see a discussion on marginalized groups and whose voices get to be heard in traditional publishing and media (and why). These are important conversations to have with students, and particularly so when we are encouraging them to be creators of information, joining the conversation themselves. What impact might avenues of publishing have on their ability to be vocal when considering their perspective and identity? How is privilege intertwined in format and volume?” (Pagowsky 2014) These observations indicate that instruction librarians interested in integrating an understanding of these larger issues into information literacy will need to supplement and/or alter the frames’ more restricted purview. But even in its narrow focus, the Framework rests on questionable assumptions. The frame ‘Scholarship as Conversation’14 tends to idealize or even naturalize the process of knowledge production in disciplinary fields. It presents scholarly research as a largely honorable pursuit, viewed in isolation from the forces operating around (and within) it: “Research in scholarly and professional fields is a discursive practice in which ideas are formulated, debated, and weighed against one another over extended periods of time.” As described, it does not pay sufficient attention to the ways that some voices are suppressed, silenced, and marginalized because they do not fit the proscribed boundaries of that field – which are, in the end, determined by a consensus of practitioners whose professional reputations and livelihoods often depend on the preservation of these boundaries and conventions. In other words, threshold concepts describe knowledge creation in a decontextualized manner, even though the Framework tries to acknowledge the academic context of knowledge creation. To better appreciate the perils of relying on threshold concepts, it may help to consider the needs for which the theory was originally developed. They were proposed by educational theorists Erik Meyer and Ray Land with reference to teaching concepts in economics. That discipline, at least as it is practiced in the ‘western world’ today, functions largely as a closed field based on a broad consensus about the universal validity (at least in the abstract) of the so-called ‘free market’, in other words, the universality and inevitability of capitalism. Economics, as an academic field, tends to naturalize capitalism and works to maintain the belief that the rules/laws of that system are simply the rules/laws of economics as such (even economists like Thomas Piketty who dare to challenge some of the field’s pieties still share this core faith16). It is very difficult for an economist who questions the fundamental assumptions of capitalism or denies its “laws” to succeed in or even enter the field, and the refusal to accept the field’s central concepts prevents communication at a basic level with the vast majority of its practitioners. It is likely that a typical economist – someone who would be considered an ‘expert’ or ‘authority’ – would judge a person making such a challenge not only ineligible to participate in the field, but perhaps even a threat to it. Meyer and Land do not pay attention to the limitations posed by established fields of knowledge, but rather the challenges that outsiders, or learners, face when trying to enter into productive learning, or ‘conversation’, within the field. Their insight was to identify certain seemingly universal characteristics of knowledge within disciplines that can be treated as concepts that one has to master in order to function successfully as a practitioner in that field. These ‘troublesome concepts’, once grasped, allow the learner to readily understand the assumptions and terms of debate in a field. But I would argue that at this point the learner has in some sense reached the starting point, not the end point, of learning on a deeper level. Now the task is to question what one has just learned – and this is where the question of information literacy’s ultimate goal returns. What is the Purpose of Information Literacy Instruction? Chris Bourg, in a 2014 address at Duke University Libraries, insisted that despite the fact that “neoliberalism is toxic for higher education…research libraries can & should be sites of resistance.” (Bourg 2014). Critical librarianship is at pains always to show that the existing information system mirrors the larger social and political order, which is characterized by a radically asymmetrical distribution of power, and is shot through, systematically and structurally, by racism, sexism, homophobia, militarism, and class oppression. An advocacy of progressive literacy of any kind within this system and environment, requires resistance on the part of the librarian: resistance to existing regimes of knowledge, as institutionalized by academic disciplines and departments (and enforced by academic rules and administrative bureaucracies), resistance to the commodification of knowledge, and even resistance to the stated goals of higher education as they are commonly promoted, especially by administrators, politicians, bureaucrats and educational reformers. Failing to resist all too easily provides reinforcement to the existing system, and helps reproduce it. As long as we recognize the structural function of information and knowledge in our pedagogy, we can help bridge the gap between academia and the struggle for social justice. With respect to this goal, using the term ‘information ecosystem’, as the Framework does, is not helpful. I recognize that the term has entered our daily vocabulary, but whether one intends to or not, the term works to reify information, despite the first frame’s title, “Authority is Constructed and Contextual.” And even though the term stresses the rapidly changing nature of that system, it does not emphasize its artificiality and arbitrariness, that it is a reflection of a specific distribution of power. To describe natural processes requires a comprehension of complex and often rapid changes. But changes in knowledge are anything but natural. In the pages of this journal Joshua Beatty has pointed out the Framework’s “neoliberal underpinnings” (something it shares in common with the Standards). He usefully traces the history of using ecological language such as ‘information ecosystem’ to describe social forces to the business world of the 1990s, when today’s neoliberal order took shape. Beatty convincingly links this naturalized language to a revived social Darwinism in which only fittest survive in a cutthroat world of brutal competition. We are competing with others to acquire and produce the best information possible, and it is up to us (and our helpers, teachers and librarians), to acquire the necessary skills and smarts to do this. (Beatty 2014, 10-11) When we unwittingly adopt this language to describe the learning processes that we wish to encourage, we may be leaving fundamental neoliberal premises unquestioned. From a critical information literacy perspective, then, it appears that the specific type of information literacy advocated by the Framework is one which accepts the existence of a particular regime of knowledge, and demands that we as librarians focus our energies on making students and faculty competent citizens of that regime, even if dynamic, critical, and progressive ones. Here again we are faced with the dilemma outlined above: students have immediate needs to be met – they are working on research papers, projects, reports, and theses. They not only need information and sources, and to learn how to conduct research, they also need to master the conceptual frameworks that will enable them to effectively and convincingly make persuasive arguments. All of this very sophisticated and complex instruction needs to be done in a short space of time. Librarians have to help so many of them, with insufficient resources, and not enough time. Where can an information literacy that raises an awareness of the contingent and arbitrary nature of the information system, be fit? When does it take place? Can something like ACRL’s Framework possibly incorporate such a vision without undermining itself? The answers to these questions are varied and complex, and they are being explored by the many librarians who theorize and practice critical information literacy. They have taught us that we must assume a position of resistance rather than conformity to the existing information regime, if we wish to see it changed at all. Part of the solution has to do with the content of library instruction. For instance, in teaching specific research or searching skills, the examples that we use in the classroom and at the reference desk can provide opportunities to question information regimes in more systematic ways.19 Another part has to do with our everyday practice as librarians, inside and outside of the classroom. We can find a long tradition of resistance on the part of librarians, not only against the banning of books or spying by the government, but also against the very structure of information and knowledge that they are supposed to be the guides for unlocking.20 Resistance is shown by librarians who take proactive measures in pushing for open access, calling out or refusing rapacious vendor contracts, or finding ways to actually make our profession more diverse, just to name a few areas. But what does resistance in information literacy instruction look like? I think we will see more creative examples in the coming years, thanks, ironically perhaps, to the Framework, which, as I stated at the outset, has opened up the possibilities for action and maneuver on the part of instruction librarians, despite its ideological baggage. In this sense it is a progressive document, but it will require librarians to resist it in order for it to become a radical one. My thanks go to Ellie Collier and Emily Drabinski for their many trenchant comments and suggestions and also for helpfully encouraging me to emphasize my own voice in the editing of this article. Thanks to Robert Farrell, Barbara Bonus-Smit, and Julia Furay for inviting me to give an earlier version of this paper at ACRL/NY-LILAC’s panel on the Framework in October, 2014 at Barnard College. Thanks also to Donna Witek for her brilliant reflections and inspiring efforts toward making the Framework understood for critical librarians as well as for her encouragement in my own efforts in this regard. Special thanks to Rory Litwin for pointing me to some of the rich history of librarian activism in the (near) past, and some of the written record of that history. Thanks finally to all my interlocutors over the last several months online and in person who have grappled with the Framework, especially to the #critlib community that generates a treasure trove of wisdom and practical insight every fortnight. Accardi, Maria T., Emily Drabinski, and Alana Kumbier, eds. (2009) Critical Library Instruction: Theories and Methods. Library Juice Press. ACRL Board of Directors. (2015) “Action Form: ACRL MW15 Doc 4.0.” January 16, 2015. Adler, Kate. (2013) “Radical Purpose: The Critical Reference Dialogue at a Progressive Urban College.” Urban Library Journal, 19, 1. Beatty, Joshua. (2014) “Locating Information Literacy within Institutional Oppression.” In the Library with the Lead Pipe. September 24, 2014. Berg, Jacob. (2014a) “The Draft Framework for Information Literacy for Higher Education: Some Initial Thoughts.” BeerBrarian. 25 Feb. 2014. —. (2014b) “The (Second) Draft for Information Literacy for Higher Education: My Thoughts.” BeerBrarian. 11 Jul. 2014. Bourg, Chris. 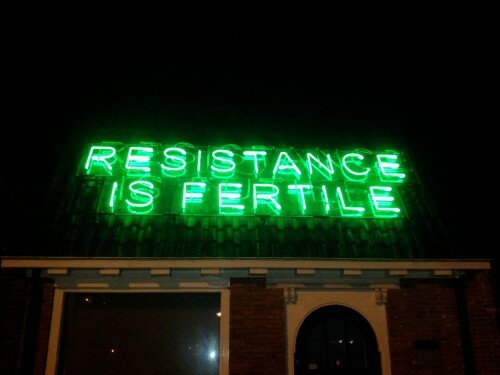 (2014) “The Neoliberal Library: Resistance is not Futile.” Feral Librarian. 16 Jan. 2014. Burkhardt, Andy. (2014) “Threshold Concepts in Practice: An Example from the Classroom.” Information Tyrannosaur. 4 Mar. 2014. Drabinski, Emily. (2014) “Toward a Kairos of Library Instruction.” The Journal of Academic Librarianship 40: 480-485. Eisenhower, Cathy and Dolsy Smith. (2009) “The Library as ‘Stuck Place’: Critical Pedagogy in the Corporate University.” In Critical Library Instruction: Theories and Methods, edited by Maria T. Accardi, Emily Drabinski, and Alana Kumbier. Duluth, MN: Library Juice Press, 305-318. “Elevating Source Evaluation: Teaching and Un-teaching Authority in the Critical Library Classroom.” (2015) LOEX 2015 – Sessions. Loex. Web. 18 February 2015. Fister, Barbara. (2014a) “On the Draft Framework for Information Literacy.” Library Babel Fish. Inside Higher Ed, 27 Feb. 2014. —. (2014b) “Crossing Thresholds and Learning in Libraries.” Library Babel Fish. Inside Higher Ed, 22 May 2014. —. (2015) “The Information Literacy Standards/Framework Debate.” Library Babel Fish. Inside Higher Ed, 22 Jan. 2015. Gregory, Lua, and Shana Higgins. (2013) Information Literacy and Social Justice: Radical Professional Praxis. Duluth, MN: Library Juice Press. Hicks, Alison. (2013) “Cultural Shifts: Putting Critical Information Literacy into Practice.” Communications in Information Literacy, 7 Aug. 2013. Hofer, Amy R, Lori Townsend, and Korey Brunetti. (2012) “Troublesome Concepts and Information Literacy: Investigating Threshold Concepts for IL Instruction.” portal: Libraries in the Academy 12(2): 387-405. Hofer, Amy R, Lori Townsend, and Korey Brunetti. (2011) “Threshold Concepts and Information Literacy.” portal: Libraries in the Academy 11(3): 853-869. James, Joy and Edmund T. Gordon. (2008) “Afterword: Activist Scholars or Radical Subjects?” In Charles Hale, ed., Engaging Contradictions: Theory, Politics, and Methods of Activist Scholarship. Berkeley, CA: University of California Press. 367-73. Kagan, Alfred. (2015) Progressive Library Organizations. A Worldwide History. Jefferson, NC: McFarland & Company, Inc., Publishers. Klipfel, Kevin Michael. (2014) “This I Overheard…Threshold Concepts Getting Laughed Out of the Room” Rule Number One: A Library Blog. 3 Nov. 2014. Matthews, Brian. (2011) “What Can You Do to Help With Troublesome Knowledge? Librarians and Threshold Concepts,” The Ubiquitous Librarian, Chronicle of Higher Education Blog Network, 3 Aug. 2011. Morgan, Patrick. (2015) “Pausing at the Threshold.” portal: Libraries and the Academy. 15(1). Oakleaf, Megan. (2014) “A Roadmap for Assessing Student Learning Using the New Framework for Information Literacy for Higher Education.” Journal of Academic Librarianship. Preprint. Olson, Hope. (2001) “The Power to Name: Representation in Library Catalogs.” Signs 26(3): 639-668. Pagowsky, Nicole. (2014) “Thoughts on ACRL’s New Draft Framework for ILCSHE.” Nicole Pagowsky (pumpedlibrarian). 2 Mar. 2014. Pawley, Christine. (2003) “Information Literacy: A Contradictory Coupling.” Library Quarterly 73(4): 422-452. Samek, Toni. (2001) Intellectual Freedom and Social Responsibility in American Librarianship, 1967-1974. Jefferson, NC: McFarland & Company, Inc., Publishers. Seeber, Kevin. (2015) “Teaching “Format as a Process” in an Era of Web-scale Discovery.” Reference Services Review 43:1: 19-30. Swanson, Troy. (2015) “The IL Framework and IL Standards Cannot Coexist.” 12 Jan. 2015. Tame The Web. Web. 12 Jan. 2015. Tewell, Eamon. (2014) “Tying Television Comedies to Information Literacy: Mixed-Methods Investigation.” Journal of Academic Librarianship 40: 134-141. Townsend, Lori, Silvia Lu, Amy R. Hofer, and Korey Brunetti. (2015) “What’s Wrong with Threshold Concepts?” ACRlog. 30 Jan. 2015. Wilkinson, Lane. (2013) “Information Literacy: Standards, Skills, and Virtues.” Sense and Reference. 5 Jun. 2013. —. (2014a) “The Problem with Threshold Concepts.” Sense and Reference. 19 Jun. 2014. —. (2014b) “Is Scholarship a Conversation?” Sense and Reference. 10 Jul. 2014. —. (2014c) “Is Research Inquiry?” Sense and Reference. 15 Jul. 2014. —. (2014d) “Is Authority Constructed and Contextual?” Sense and Reference. 22 Jul. 2014. —. (2014e) “Is Format a Process?” Sense and Reference. 25 Jul. 2014. —. (2014f) “Is Searching Exploration?” Sense and Reference. 29 Jul. 2014. —. (2014g) “Does Information Have Value?” Sense and Reference. 5 Aug. 2014. Ian – thank you for your thoughtful & thorough essay! You’ve really opened up a space here for us to not only justifiably critique the new Framework, you’ve also shown us places where we can engage with it in critically in our practice. But you’ve also used this Framework point of time to open up a much larger investigation of the reason for education and our librarian roles in it. Two sentences that really floored me are, “…teaching students how to function within an academic discourse can be perilously close to teaching students how to conform, how to get along, how to succeed…how can we encourage student success without supporting the underlying structure of the system within which that success will take place?” This is a point I’ve been wrestling with for some time now. How can we balance the real desires of students to learn things that will help them succeed (in their own definitions of that term that might include getting jobs and being comfortable) with our visions of success that that might transform the students and society? I’m new to critical theories and critical practice, but for me these lenses not only clarify so much about this current educative process I’m a part of, and they also explain a lot about my own journey through American education starting in the 1950’s. Being a first-generation college student has allowed me to achieve many “successes”, both materially and in regards to extended intellectual horizons. And now, with the discovery of these critical viewpoints, it has given me the tools with which to question what we educators do. The rub, as you allude to, is that in academia we’re on thin ice – questioning the very system that gives us support for our questioning. This is so great, Ian. Thanks and thanks and thanks.